BrandpointContent - Do you know how that new supplement will affect your existing medication regimen? Do you know how that new supplement will affect your existing medication regimen? Mahatma Gandhi once famously said, “It is health that is real wealth and not pieces of gold and silver.” If you count yourself as a believer in this statement, your health is more important to you than any material possession and you do your best to protect it every single day. That’s why you eat right, exercise regularly and support your total health with supplements. But did you realize that, if you are already taking medications for an existing condition, the supplements you mix with these medications could actually be hindering your overall health instead of helping it? It's an all-too-common occurrence and one many people are unaware of. "Nutrient deficiencies and diagnosed health conditions often require the use of vitamins and prescription medications, but they can interact. It is critical that users understand potential interactions," said Michael Roizen, M.D., chief wellness officer, Cleveland Clinic and Persona medical advisory board chair. Research from Persona, the leading personalized nutrition brand combining smart science, data and the highest quality supplements, shows that nearly 40 percent of survey participants — those already taking vitamins alongside prescription medications — did not know vitamins and supplements can impact the effectiveness of their medications. Forty-five percent assumed they didn’t need to tell their doctor before they started taking a new vitamin or supplement. This eliminated the possibility for doctors to warn them of potential negative effects of the two interacting. The market is flush with myriad medication and dietary supplement solutions and while many will not interact with each other, those that do cannot be ignored. One common area for a negative reaction is with those who take a blood pressure medication and combine it with an iron supplement. In many cases taking the supplement two hours before or after the medication can decrease its absorption rate significantly, making the prescription med less successful. People who take a synthetic thyroid hormone should also be wary of taking their medication in conjunction with any supplement containing soy, iron or calcium. Taking both the medication and supplement within four hours of one another will decrease the absorption rate and effectiveness of the thyroid hormone. Combining a supplement and a medication isn’t always a hindrance; it can be successful as well. For example, if you are taking a statin, you will want to add Coenzyme Q10 (CoQ10) because the average blood concentration of CoQ10 in blood plasma decreases. In another instance, if you take medication to treat allergies or inflammation, adding a vitamin D and calcium supplement will support bone health and calcium absorption. With so many supplement options available, it can be difficult to determine which choices are right for you, and if you are already taking a medication, choosing the proper supplement becomes even more important. Persona can help by cross-referencing more than 650 prescription medications when making supplement recommendations. This thorough cross-referencing ensures you’ll receive the full benefits of the supplement without having to worry about negative reactions. In addition, Persona’s customer service team of dietitians and nutritionists will work with you to determine the right supplement plan for you based on your needs and medical considerations. With a single subscription service, Persona delivers customized vitamins and nutritional supplements to you in daily packs based on needs and it all starts when you take your free Nutritional Assessment. Visit www.personanutrition.com to learn more, because you should expect your supplements to support not only your existing medications but your total health goals as well. 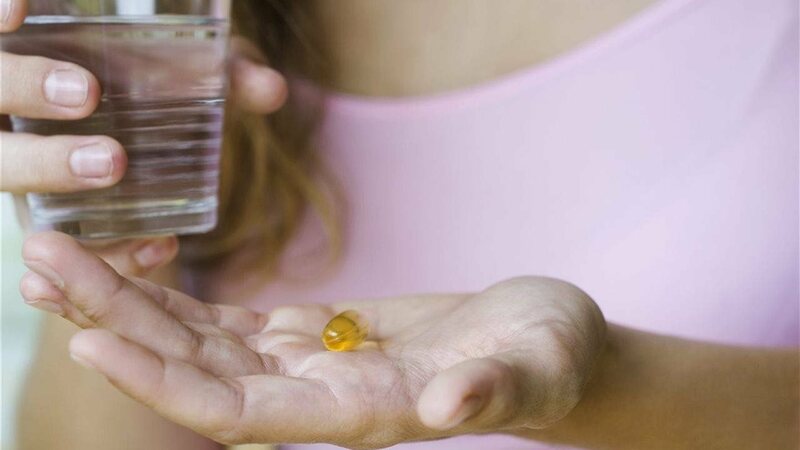 Did you know if you are taking medications for an existing condition, the supplements you mix with these medications could actually be hindering your overall health instead of helping it? It's an all-too-common occurrence and one many people are never aware of doing. "Nutrient deficiencies and diagnosed health conditions often require the use of vitamins and prescription medications, but they can interact. It is critical that users understand potential interactions," said Dr. Michael Roizen, chief wellness officer, Cleveland Clinic and Persona medical advisory board chair. Research shows that 38 percent of survey participants did not know vitamins and supplements can impact the effectiveness of their medications. Forty-five percent assumed they didn’t need to tell their doctor before they started taking a new vitamin or supplement. Before taking any supplement, be sure to seek professional advice on how it will affect you and the medications you may be taking.